– Bill Fletcher, Jr, U.S.
– Stephen R. Shalom, U.S.
“It is so hard for us, encased is a world full of threats and injustice, even to imagine a different and better one. It may be even harder to imagine a way to get there. 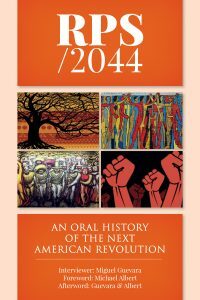 RPS/2044 is a unique and provocative projection of how such radical change might actually occur. Plausible? Well, who knows? Worthwhile as a thought experiment? For sure.